David Orly-Thompson is well known in San Francisco.Â His teaching and dancing style is very dynamic and he has an amazing ability to make complicated patterns seem very easy. His advanced class on Wednedays at La Pista, challenges your mind and body in the best way possible. Mila Salazar is a dancer, teacher, choreographer and Tango DJ. She was the dance captain of the Libertango Dancers, danced as a guest member of Tango Con Fusion and performed with her own group. She presently directs a Tango Performance Team of various levels which hold a regular meeting on Mondays at 7pm with Casey Young, and teaches a Tango Fundamentals class at 8pm on Mondays with a crew of assistants. The Upstairs Practica, with dancers of all levels, is held on Mondays 9-11pm. 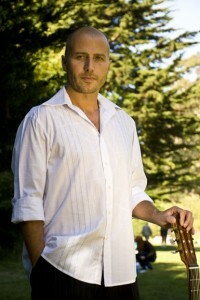 Tom Lewis, the architect and owner of San Franciscoâ€™s premier tango salon, La Pista, began studying tango in 2004. Tom, who has studied other forms of energy and movement, such as Aikido, Leonard Energy Training, and Gyrotonics, loves to bring it all to bear in his tango teaching. He has had the privilege to study with numerous tango masters who have come through the doors of his well-loved salon, a refuge of dance, music, comfort and positive energy for the Bay Area. Tom loves cultivating tango partners with good fundamentals who are energetic, responsive, connected, and smooth. Tom teaches some of the taste of Tango classes that precede the Sundown Practica on Saturdays. Camille lived and danced in Buenos Aires 2006â€“10, after quitting her day job. Before tango took center stage 10 years ago, she danced everything from swing, ballroom and Latin to tap, jazz, and the tarantella. She studied with numerous teachers in San Francisco (including Rosy Radiator and Christy Cote), as well as in Argentina. Her favorite â€œmaestrosâ€ were those who braved the milongas. Camille embraces all styles of tangoâ€”milonguero, salon, Nuevo, uptown, downtown, and all-around town. She approaches tango with a sense of humor and from a Zen/yoga grounding. A writer by default of her own, she is the author of the memoir, Tango, an Argentine Love Story. Guillermo GarcÃ­a was born in Bahia Blanca, a southern port of Argentina, where he grew up among tango, soccer, barbecues, military coups and numerous currency devaluations. Inexplicably attracted to the shape of the guitar, he started playing Argentine tango and folklore music at the age of 10, and classical guitar at age 15.Â As a dancer, Guillermo learned Argentine tango from some of the masters of the salÃ³n, milonguero, and nuevo styles. He teaches a weekly tango salÃ³n class in San Francisco, and has taught numerous musicality workshops for dancers. Guille teaches a regular drop-in class on Thursdays from 8pm to 9:30pm. Marcelo Solís was born in Argentina. Through his family and the community that saw his upbringing, Marcelo has been intimately involved with Tango all his life. Marcelo has been an Argentine Tango dancer, choreographer, and instructor for over 25 years. His love for Tango dancing and tango music, particularly from the 1930’s through the 1940’s, is undeniable when you meet him. Marcelo is a milonguero. As Tango instructor Marcelo makes emphasis on musicality and the connection of dance partners to each other and the music; he stresses that Tango is a social dance framed by a specific set of values that are expressed through a series of codes of etiquette, and he encourages and promotes his students ability to improvise on the dance floor. After the training, you receive in Marcelo’s classes dancing becomes an easy game to play. With these elements, Marcelo creates a unique atmosphere through which his students can experience what a Milonga in Buenos Aires is like. 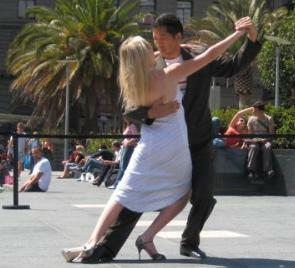 Jonathan Yamauchi has danced Argentine tango since 2000, and has been greatly influenced by Carlos Gavitoâ€™s renowned sensuous and intimate close embrace style. Olivia Levitt has over 25 years of classical ballet training and was a principal dancer in the New York Theater Ballet, the San Francisco Ballet and the Oakland Ballet. Her classical training gives her an astute insight into technique that allows her to create beautiful adornments and express delicacy in movement.